Come ride on one of the best trail systems out there, with trails for every level! From Private Cabins, and Lodge Rooms to RV and Tent Camping, there's something for everyone! Book Your Group Retreats Early! From competitive trail rides to family reunions, weddings and everything in between, let us host your gathering! Welcome to Meadow Creek Mountain Ranch. 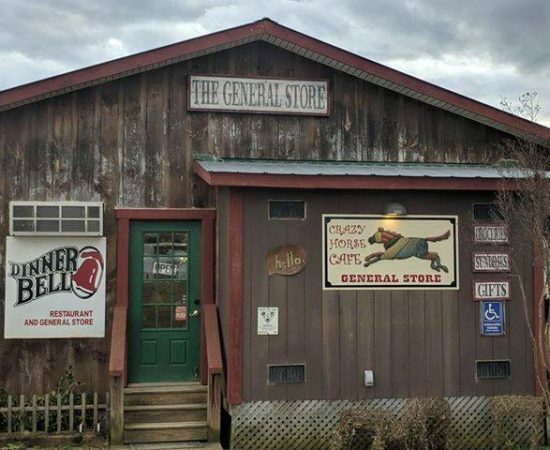 Located at the foot of the Cherokee National Forest in eastern Tennessee, we’re an off-the-beaten-path destination for visitors to the Great Smokey Mountains. 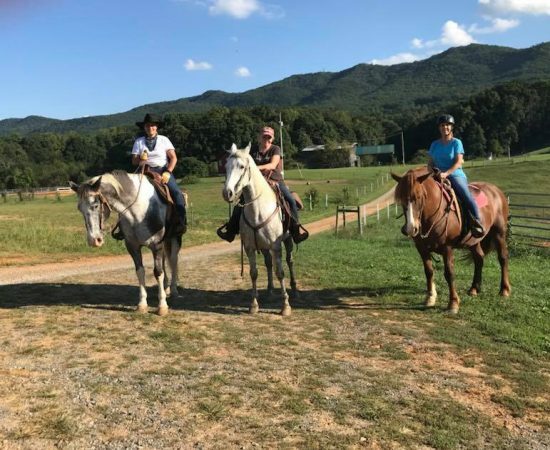 From lodging, cabin rentals, tent and RV camping to hiking, horseback riding, horse boarding, and trail riding, we’re an ideal destination for horse and nature enthusiasts alike. 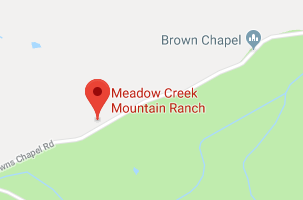 Meadow Creek Mountain Ranch is also an ideal venue for family, group, or corporate retreats, featuring an on-site cafe, lodge, bath house, and more. 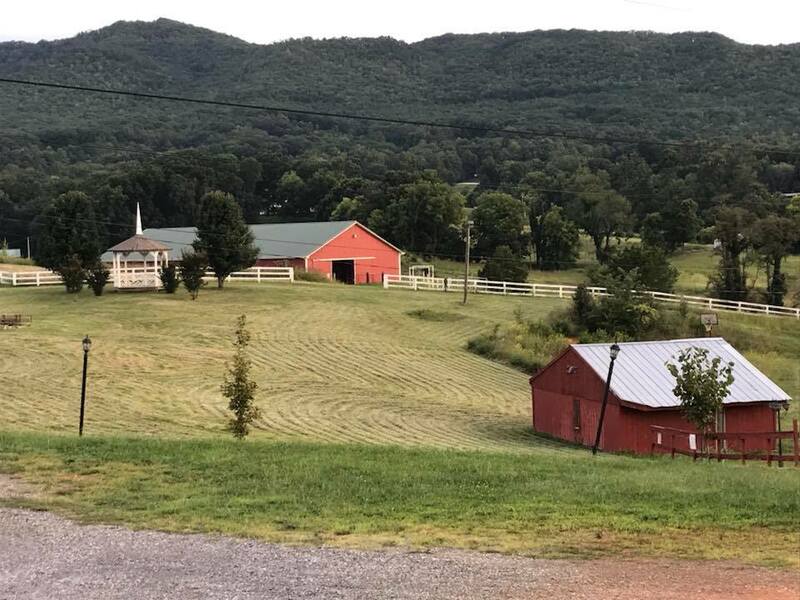 Welcome to your home away from home in the Eastern Tennessee Appalachian Mountains! We have so many ways to accommodate guests! Book one of our cabins, hook up your RV at a campsite or book at our well appointed lodge. We promise you’ll enjoy your stay. Bringing a horse with you? We have a well-kept, 20-stall barn for horse boarding. We’re also a pet-friendly establishment, meaning you can bring the family dog too. Explore our many horseback riding trails, which vary in difficulty. We welcome adventure seekers and technical riders alike, including competitive trail riders. 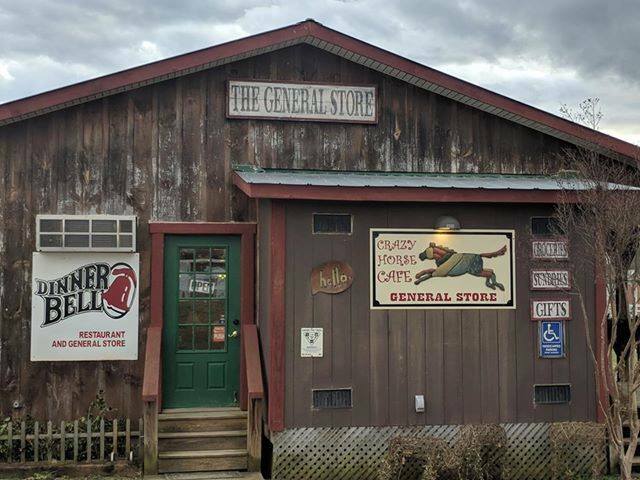 We offer you the comforts of home while you’re away, including free Wi-Fi, air-conditioned rooms, a café with delicious food and a country convenience store. We guarantee you’ll have a great time with us! We’re an Airbnb Superhost and we work hard to always ensure your needs are met, so you can enjoy your vacation. 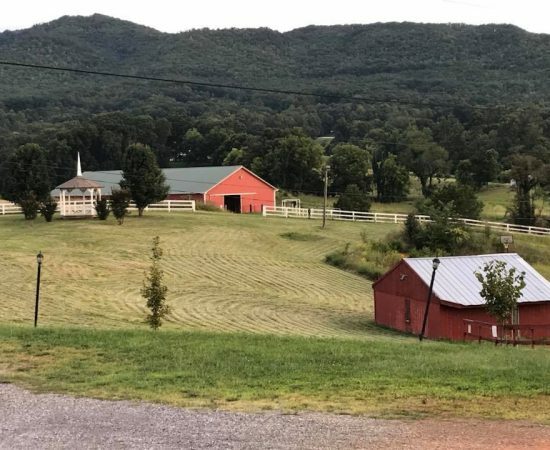 Whether you’re searching for a secluded, rustic cabin rental for your next mountain getaway, or you’re looking for the perfect place to hold a family reunion, destination wedding, or wellness retreat, Meadow Creek Mountain Ranch has something for everyone. Nestled right in the mountains, we offer visitors a number of lodging options, so they can make camp in the way that’s right for them. Rough it in a tent, hook up your RV, or ask us about our cozy Smoky Mountain cabin rentals! We’ll do whatever it takes to make sure you, your family, your pets and even your horses, feel accommodated. Our enthusiastic staff treat every guest like family. Whether you’re sipping on a cup of coffee in our on-site café, or hiking the endless trails that surround the property, we promise an experience you won’t forget. Our Smoky Mountain lodging is conveniently situated right by numerous trailheads, giving you instant access to the beauty of the Cherokee National Forest. Our trails range from simple and short to long and technical, welcoming riders of all calibers. 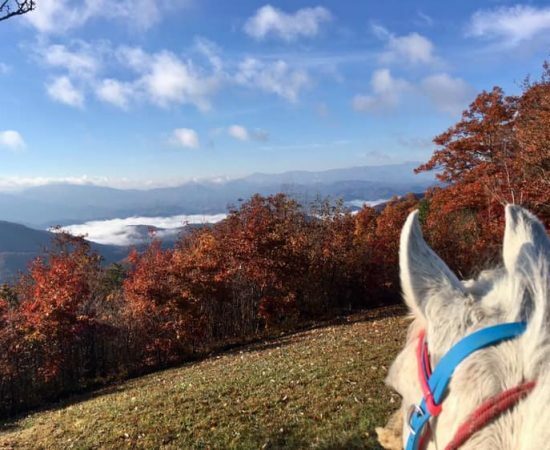 Whether you’re looking to stroll through the mountains, taking it all in or you’re practicing your competitive trail riding skills, we offer the perfect opportunity to see the mountains as you’ve never experienced them before. 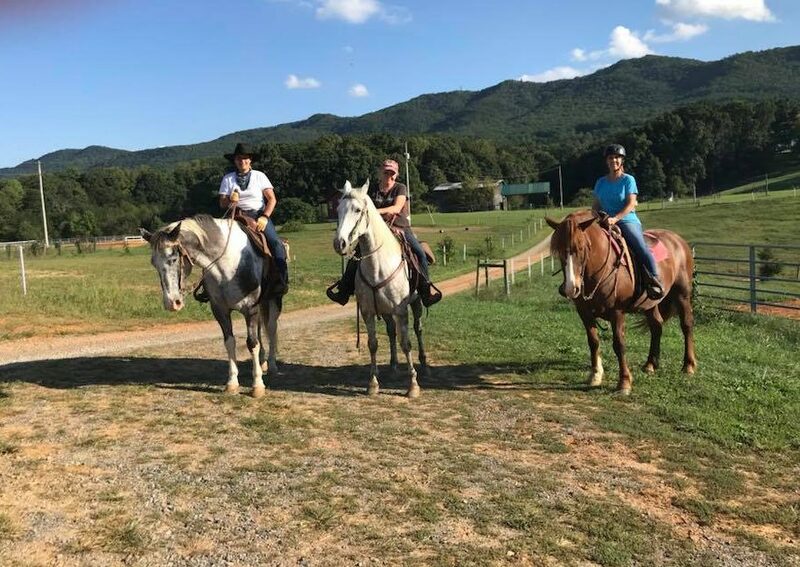 For a wonderful introduction to the Smoky Mountains and comfortable, cozy amenities that you’ll enjoy each day you stay with us, there’s no time to waste in booking with Meadow Creek Mountain Ranch! 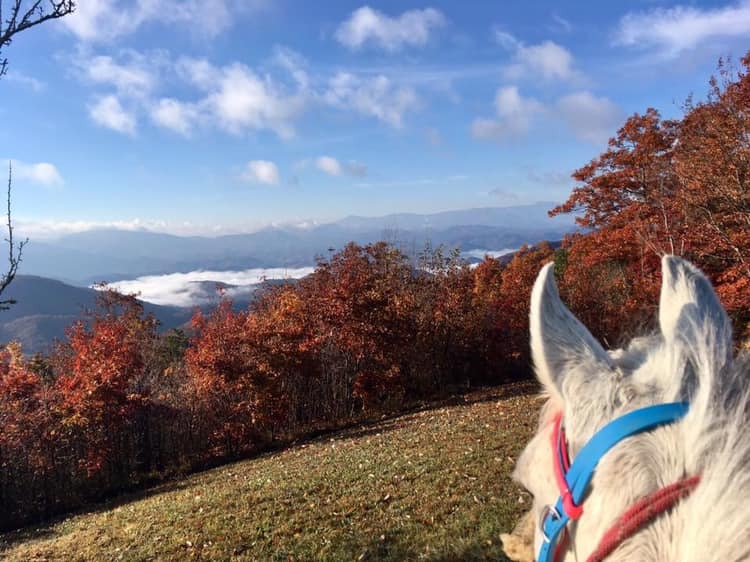 From the beautiful scenery, to the mountain air, to the winding trails that run through them, there’s no better way to explore the Great Smoky Mountains than on the back of a horse. Start your adventure!